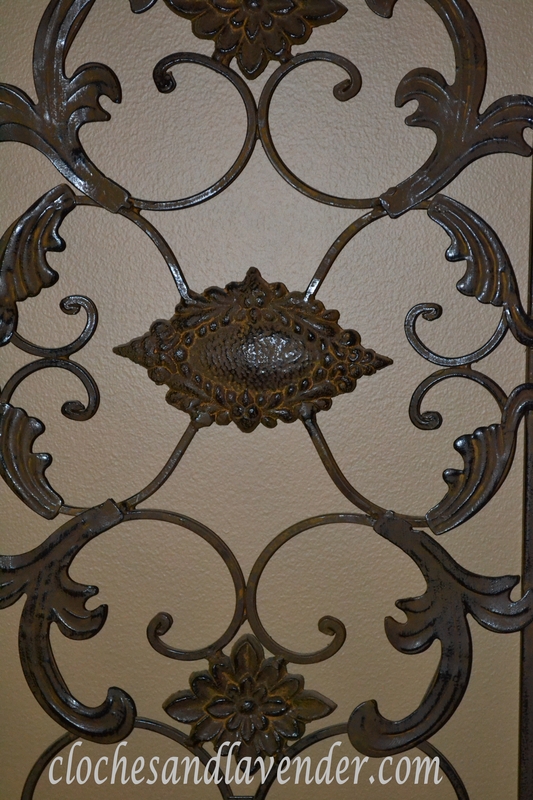 A Nice Piece of Iron Work – and a bargain too! John and I were shopping in an area just over the border into Pennsylvania and we were in a small store that had a bunch of salvaged iron pieces inside. We thought no; they will be too expensive, and when we went inside they were really a bargain. 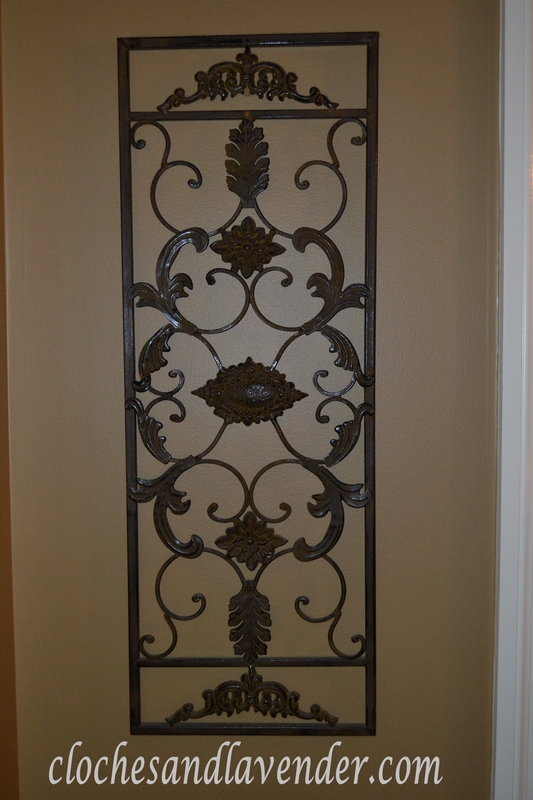 I thought that this piece would make a nice addition to our upstairs hallway. We looked at many of them and decided on this piece and thought it would be perfect. It fits in this spot so well it seems it was made for this area. Such a beautiful piece! You find the neatest things! I like it. It looks like a great place for it in your home. It is gorgeous! 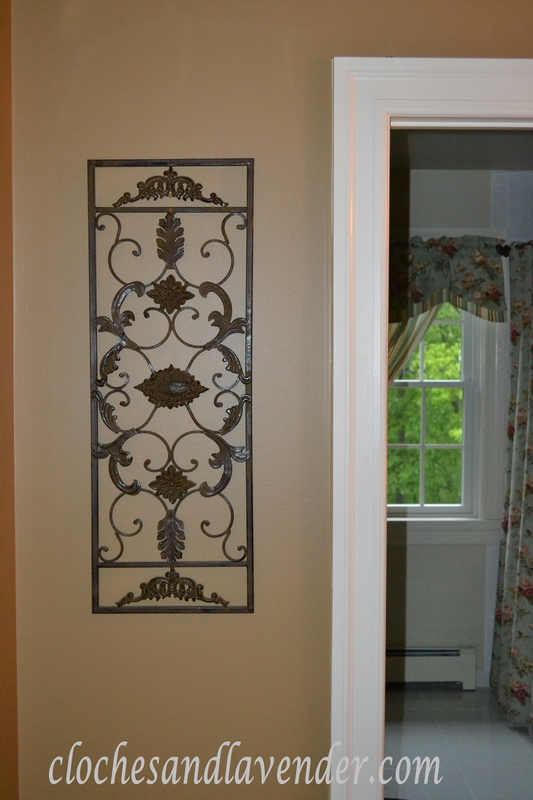 Looks great in your home – fantastic find! I love finding something I love and then it being a bargain doesn’t hurt. So pretty, and even more so since it was a bargain! Thanks it was a good deal. What a beautiful piece. Lucky you!! Very cool piece! And thank you so much for continuing to comment even though I haven’t been around. It’s been so crazy, and i so appreciate that you keep coming around. I hope to be here more often very soon! I love your blog. I hope you around more soon too. What a great find. It’s beautiful! Thank you and it really was a bargain I was so surprised. That piece is so pretty! I am so glad you stopped to check out all the iron works! Beautiful iron! It looks so pretty in your hallway. Gorgeous piece. I love metal art works. That is a great piece!! Thanx for joining THT!